As a response to Dodge/Jeep/Chrysler’s SRT and Chevrolet’s SS performance divisions, Ford had SVT (Special Vehicle Team). Created in 1991, the SVT division sought to add high performance vehicles to Ford’s lineup. Every SVT model was influenced by these four qualities: Performance, Substance, Exclusivity, and Value. The first cars to come out of SVT were the 1993 Ford Mustang SVT Cobra and the 1993 Ford F-150 SVT Lightning. The first Lightning was available in only three colors, red, black, and white (white was added in 1994). 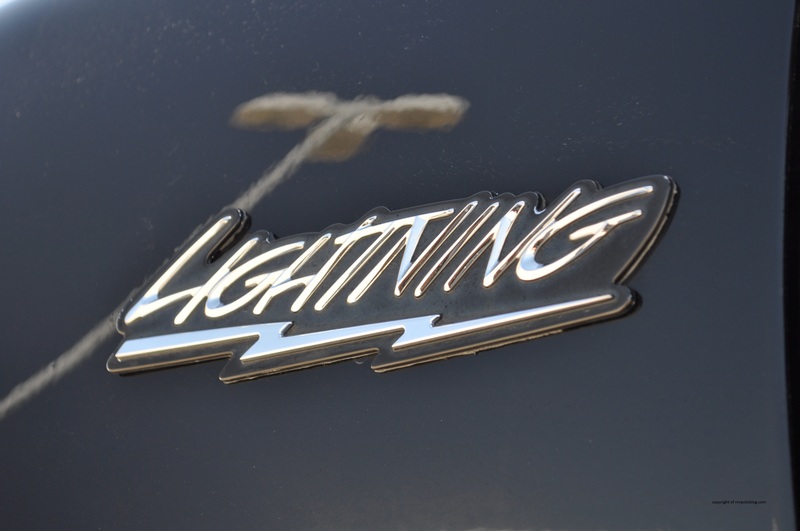 The Lightning shared the same 5.4 liter V8 with other F-150s, but modifications were made for better response and more horsepower, and it also received improvements to its handling. 1995 was the last year for this F150. 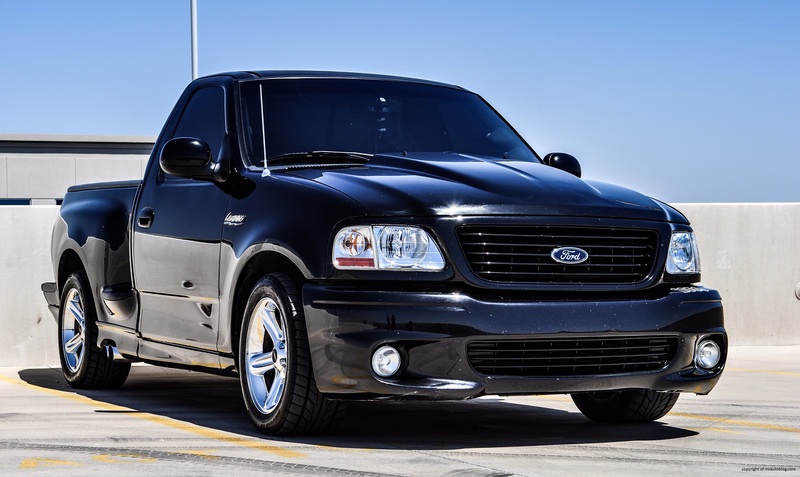 In 1999, another SVT Lightning version of the latest F-150 was created, and this time, it would be more than a F-150 with subtle performance and visual modifications. 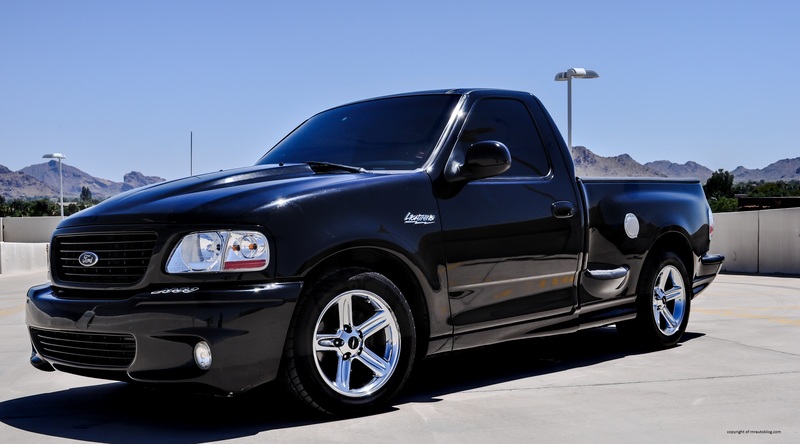 The SVT Lightning employed a supercharger for a horsepower rating of 360 (raised to 380 in 2001), and the exterior was completely altered as was the handling. With a 360 horsepower V8, it received the title as the world’s fastest production pickup truck. 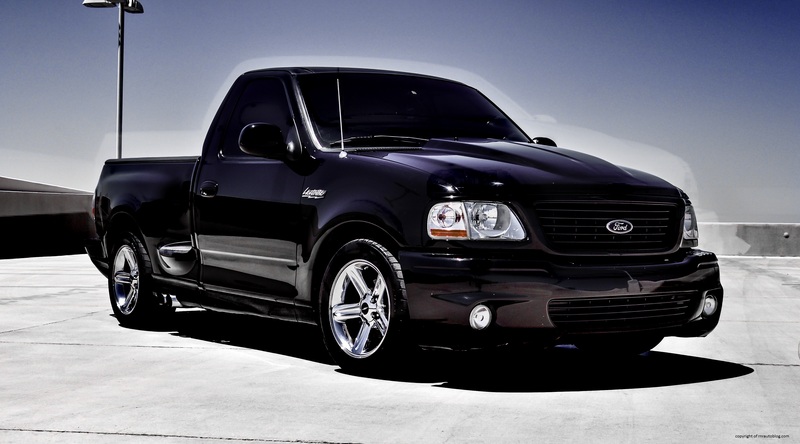 When Ford redesigned the F-150 in 2004, it discontinued the SVT Lightning edition. 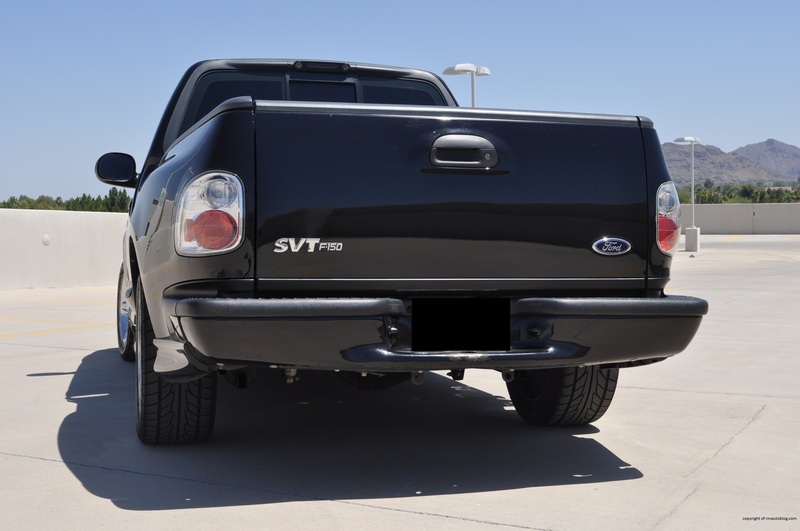 From a distance, the SVT Lightning appears to look like a regular F-150, but look closer, and the differences become apparent. 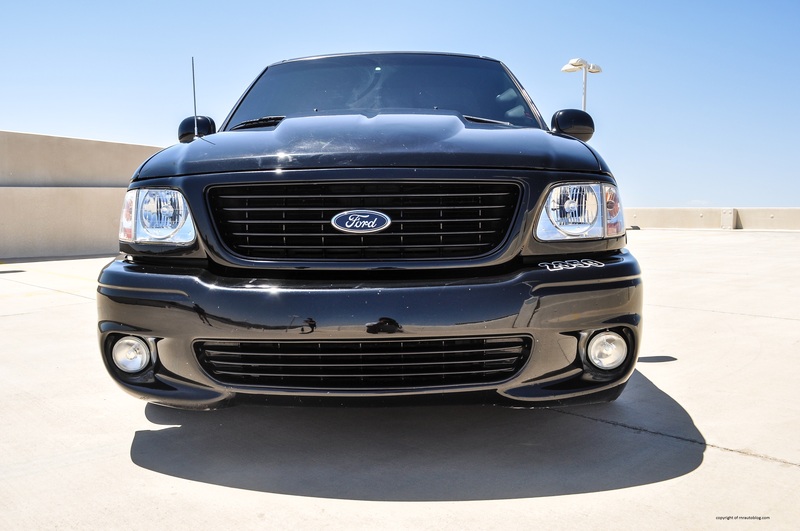 Instead of the F-150’s chrome grille, there is a blacked grille and an aggressive bumper. The hood has a subtle bump meant to emphasize the supercharged V8. The side profile is just like any other truck, except when you notice how low it is compared to a truck. I don’t usually like chrome wheels, but they add to the SVT effect. Like the chrome wheels, the clear lens taillights would have looked chintzy, but they give a sporty feel. The rest of the rear is similar to a typical F-150, not a bad thing. Sadly, I wish the interior received the extensive upgrades the exterior did. While it is not offensive, it looks like a typical Ford interior. I asked the owner of the truck how it handles, and he said, “like a sports car”. I was skeptical because how could a truck handle like a sports car? But as I started taking the Lightning through corners, I came away amazed. There is virtually no body lean, and the steering is quick for such a heavy car. The steering actually relays vibrations from the road surfaces to the driver, and the weighting is spot on. I’m not saying that it handles as well as an actual sports car, but it is easily the best handling truck I have driven. During cornering, the suspension remains planted on the ground, and the truck remains easy to pilot. The front end feels light and agile for a big car, and the rear suspension keeps the Lightning stable. There is some understeer which is to be expected, but what I did not expect was how well it handles. Due to the stiff suspension which allows for its great handling, the ride is jittery. Bumps become pronounced at low speeds although they are ironed out at highway speeds. 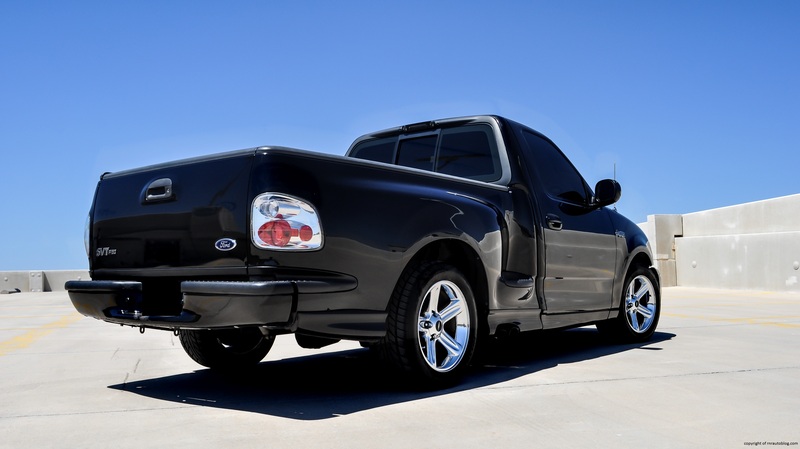 This SVT Lightning not only emphasizes its hot rod looks, but also its powertrain. With 360 horsepower from a specially built 5.4 liter V8, this thing is fast. With its low weight for a truck, the Lightning accelerates urgently. The benefits of a supercharger come into play as the V8 feels strong at any speed. Power delivery is quick and linear with no gaps in response. 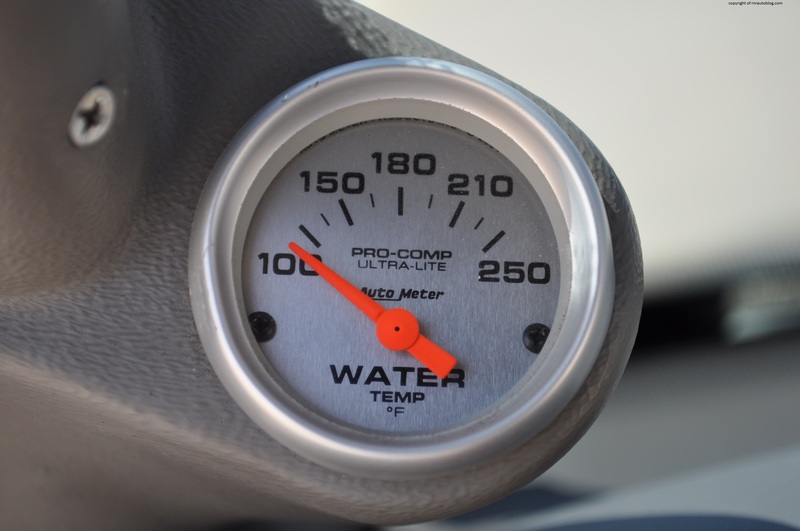 The tires break loose easily with just a tap of the gas pedal, and when you are not flooring it, it has more than enough grunt to keep up with traffic. The four speed transmission, borrowed from the Ford’s Super Duty trucks, upshifts and downshifts without delay. Only during hard acceleration does the transmission shifts a bit abruptly. Given that its rival, the Dodge Ram SRT10 had a manual transmission standard, a SVT Lightning with a manual transmission would have been interesting had Ford offered one. 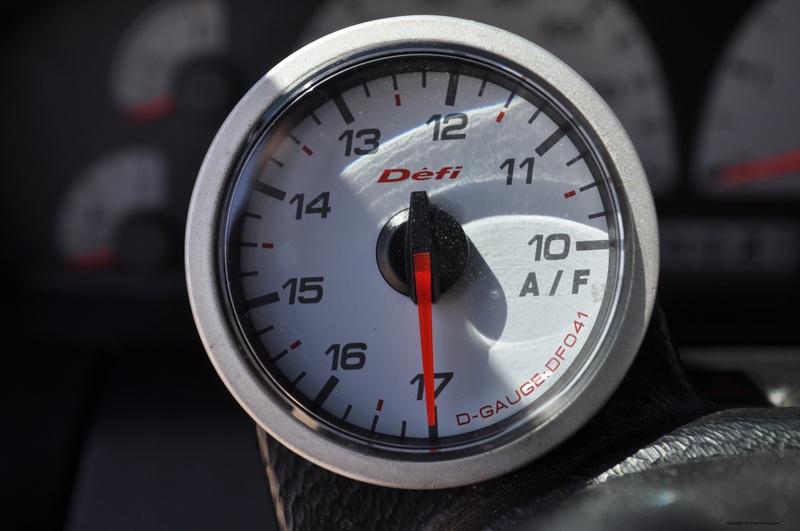 Fuel economy is nothing special at at least 14 mpg overall. Refinement is not one of its strengths. There is constant tire roar, and the interior is not the quietest place to be. The engine noise is present, even at low revs, but it lets out a frenzied growl when pushed. The SVT Lightning is available only in a regular cab, so it can only accommodate three people in the front. Three adults can sit in the front with some comfort. Due to the hood scoop, looking over in the front can be challenging, but visibility is good all around. The bed is a useful size, and it features rails to prevent things from sliding. The steps on the side are useful for getting into the bed. 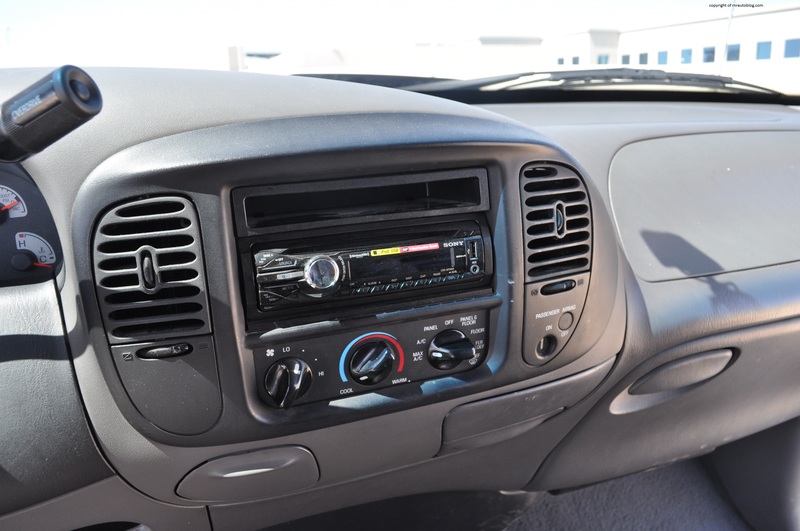 A decade ago, Ford interiors were nothing special in terms of materials quality and execution, and this Ford is no exception. The plastics feel hard to touch, and some surfaces are not as sturdy as they should be. 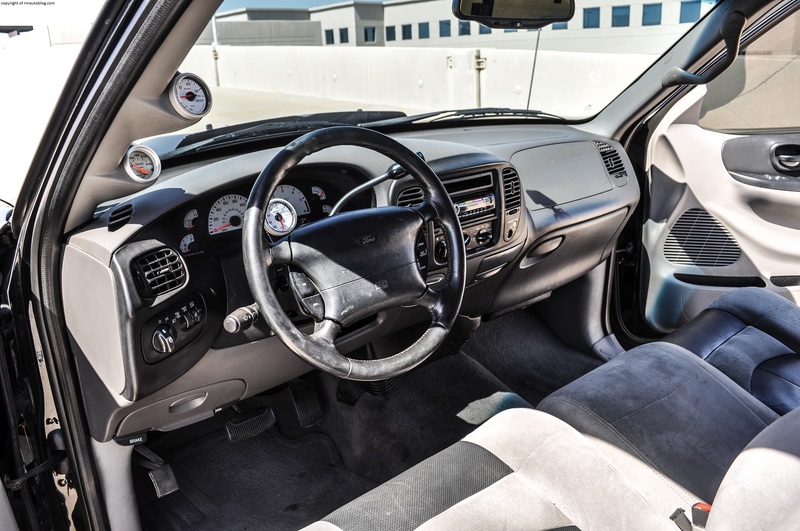 Finding a driving position is a little tedious because the seat is fixed, so you have to rely on the steering wheel in order to sit comfortably. 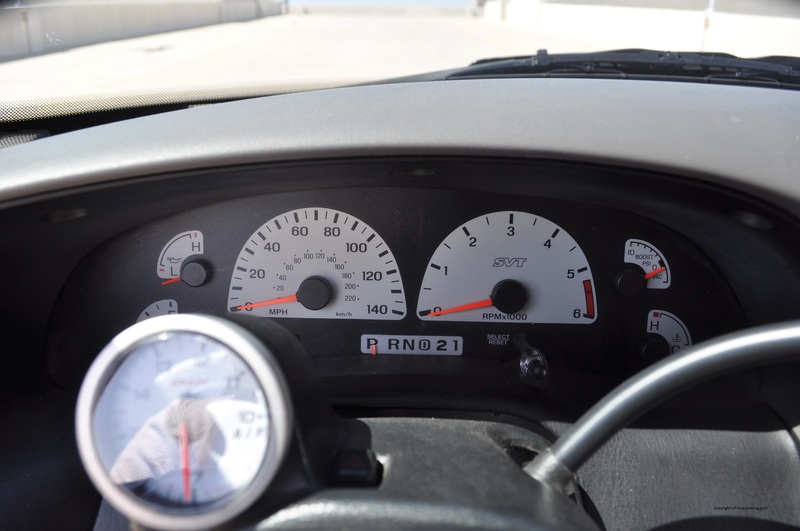 The dash gauges are easy to read, although the dash mounted gauge can partly block your view of the dash gauges. The controls are simple, and cabin storage is adequate. 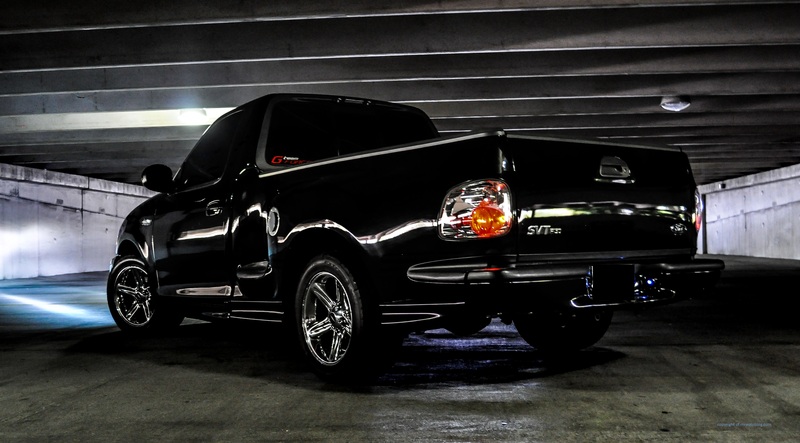 The SVT Lightning surprised me with its competence. I thought that this truck was just all talk, and that it was like every truck out there. But after getting the chance to drive it, that is not the case. 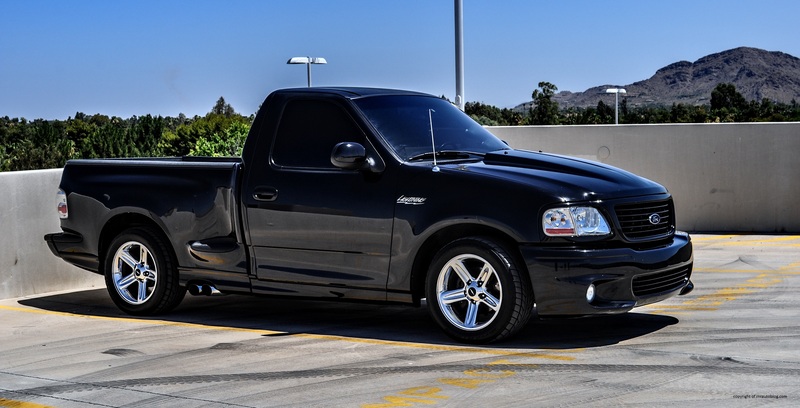 The SVT Lightning handles like a much smaller vehicle, and it has the power to match its aggressive looks. This truck makes me wish that Ford’s SVT division has not been relegated to tuning only the Ford F-150 and Mustang. A decade ago, SVT made versions of the Focus, Contour, and many other models. They brought performance cars to the middle class. While SVT’s latest product, the Raptor, is nice, it is mostly for off roading, and it is not exactly affordable. I’m not usually keen on trucks, but this one is the ultimate truck for me. It looks sharp, handles exceptionally well, practical, and it is comfortable. It successfully blends the performance of a sporty car and the utility of a truck. In my book, that’s a winner. Your blog post is actually amazing. Can I connect with you on Facebook?? Sorry, I don’t have a facebook! BUt if you want to connect, email me at rnrautoblog@gmail.com!